Allergies to food or meds? Changes can be made by May 15th to the camp schedule and refund or monies due will be reconciled at that time. Should you withdraw completely, $100 (per child) of the amount paid is non-refundable. 1/2 of your camp tuition/fees will be charged upon enrollment. Remaining payment will be charged May 15th. There is a 5% sibling discount off the lowest camp fee. I authorize the director or the director's designee to seek appropriate medical care for my child if necessary. Please provide the name(s) of those (other than parents) authorized to pick up your child(ren). 1. 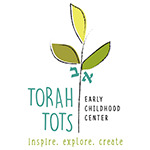 (I/We) understand that (my/our) child(ren) will be unable to attend Torah Tots Mini Camp/Gan Izzy of the Arts unless and until the state required good health and immunization certification is received from a physician. 2. (I/We) understand that (my/our) child(ren) are enrolled for camp sessions indicated. 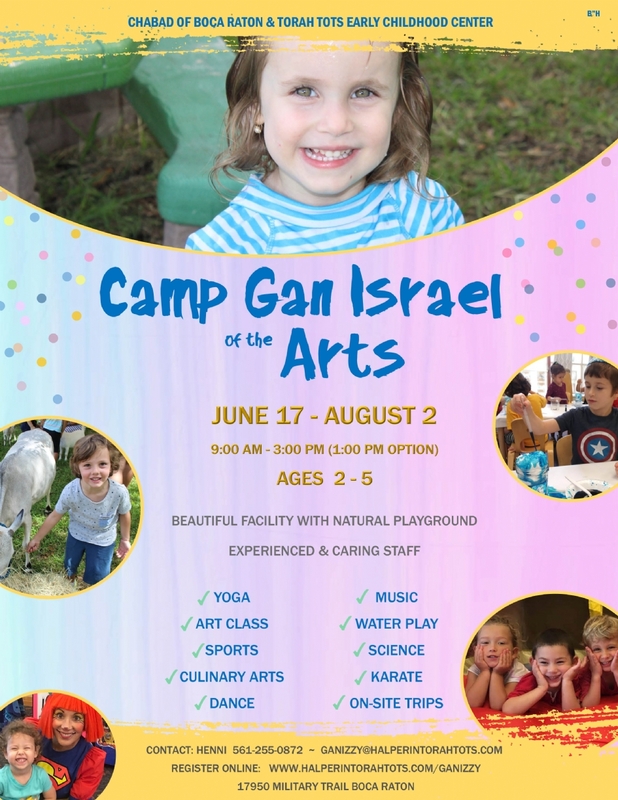 The camp cannot issue refunds or credits for illness, holidays or family vacations. 3. In the event that the camp is closed due to or resulting from a weather emergency or other unforeseen circumstance, there will be no make-up days, refunds or credits for days that school is not in session. By submitting this Application for Admission I understand that the $100 per child is non-refundable and agree to the Terms and Conditions stated above. I (we) agree to pay according to the selection indicated above. If sufficient funds are not available or if the account has been closed, my (our) account will be charged $25 for each transaction that could not be processed.